We can prepare your fish to your requirements. These are some of our basic preparation methods. We cut 2 fillets from a flat fish (plaice, lemon sole etc.) or “cross cut” fillets as it’s known in the trade; that means you will have one fillet from the top side of the fish and another one from the underneath. We cut two fillets from a round fish (cod, haddock, bass etc. ); that’s one from either side of the fish. This preparation is almost always carried out on fillets (cod, haddock, etc.). This involves de-scaling the skin side of the fillet and removing the small line of bones known as “pinbones”. These are removed by cutting a “V” section either side of the bones, except for salmon and wild sea bass where the bones are big enough to pull out individually with pliers. This means as it says; some customers like the skin removed from their white fish fillets (cod, haddock etc.). 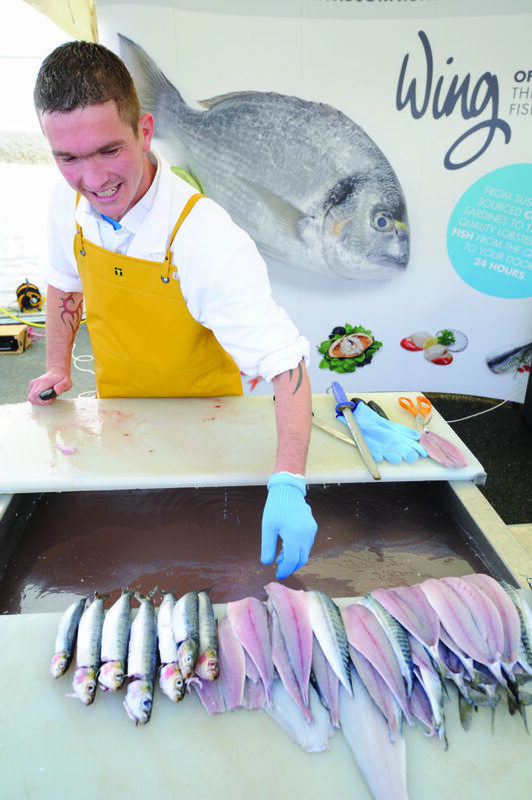 Whole fish such as sea bass or gilt head sea bream will need to be gutted and have their scales and gills removed.